Aegina is an island in the Saronic Gulf. the city of Aegina is the eponymous capital of the island and is located on the West side, built amphitheatrically. Aegina there are many beaches with turquoise waters to meet each different visitor. Agia Marina, Aegina, Marathon, Partridge, the Bay, the Abbey, are some of the island's beaches. 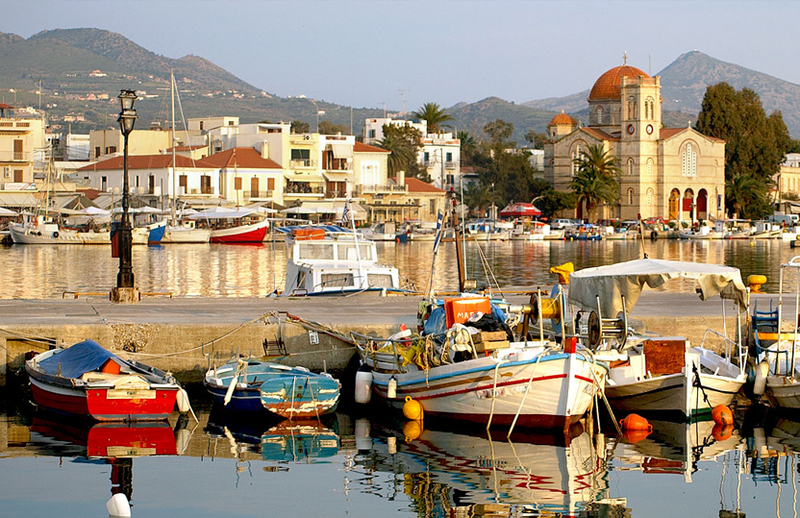 from the port of Aegina has regular urban transport for the city also taxis exipyretoyn visitors (phone 22970-22635). To move towards the rest of the island buses serving with regular services to Marathon, Partridge, Souvala, Aegina, Deep, Vagia. For BUS route information contact at Tel (+ 30) 22970-22412.
from the port of Aegina departing daily for year-round speedboats and catamarans of Hellenic Seaways to Piraeus and other islands of the Saronic Islands, Poros, Hydra and spetses. For arrivals and departures information contact the port of spetses on the phone 22980-22328. Air Champion24 .com offers ferries to and from Aegina on all services performed from any port of Greece. You can easily search and choose your ferry route that it serves, easily and instantly. The booking takes place in real time using your credit card or by making a booking with the help of the staff of our Office.